We have some very exciting news to share with you… We have broken the ground and work has just started on our new dealership on Hayes Way at Cribbs Causeway. As you may know we already have two dealerships in the city and will open our third purpose-built, Nissan showroom this December. The dealership will span just over 18,000 square feet and create at least 25 new jobs. The state-of-the-art dealership will have a stunning look when it's unveiled, as it will feature the brand's 21st century showroom concept reflecting Nissan's core principals of innovation and excitement. I have seen this and it looks very different and I believe customers will love it. Our new dealership is in an area that is developing and it looks set to be an excellent retail location for us. 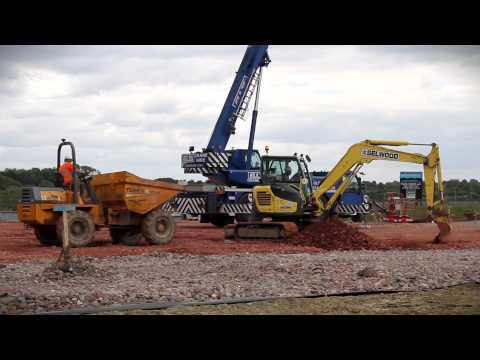 The entrance to the new site will be the gateway to a whole new development of almost 3,000 new homes with excellent facilities for the local community including three schools, a new care home and a supermarket on what we know as the old Filton runway. It's a massive investment for us as the whole project will cost in the region of £5 million. With Bristol being our home city we are passionate about this latest expansion and it will enhance our standing as a key employer within the city. We are located near to the shopping mall along with key brands such as Marks & Spencer and John Lewis. This customer focused retail location will allow us to serve other parts of Bristol which previously have been more difficult. It will also enable customers easy access from the M4 & M5 corridor. With our new dealership opening in December, our coverage for the Nissan brand will be first class for a city and a brand which deserves it! The new dealership will be a centre for electric vehicles with three new charging points for the city including the 30 min fast charger and a dedicated Innovation Specialist to guide customers through this new technology. Sales of electric vehicles doubled last year as more people find it a real alternative to the conventional combustion engine. Our new state of the art workshops will be equipped with the very latest diagnostic equipment and many of our trained Nissan technicians will be transferring to the new branch to share their knowledge. We hope this newsletter answers any queries you may have about our new dealership and you find this information informative and helpful. If you have any further questions, please don’t hesitate to contact us on 0117 244 9242 or via our Twitter and Facebook pages. you to our new dealership. OUR STATE-OF-THE-ART NISSAN DEALERSHIP AT CRIBBS CAUSEWAY WILL HAVE A STUNNING LOOK WHEN IT IS UNVEILED, AS IT WILL FEATURE THE BRAND'S INNOVATIVE AND EXCITING 21ST CENTURY SHOWROOM CONCEPT. The new Nissan branch will boast one of the region's most cutting edge car sales environments, with technology and creature comforts combined to enhance the overall customer experience. The concept, which was developed in the UK, was devised to replace the traditional sales-focused showroom and create a more experiential environment reflecting Nissan's core principals of innovation and excitement. Our dealership will centre around a comfortable and stylish area where our customers can enjoy a freshly brewed coffee, browse the internet and search for product information. • A fun Nissan racing simulator where visitors can 'drive' the latest Nismo models. We're absolutely thrilled with the proposed new look and think our customers are going to love it. It's really stylish and feels much more modern and customers will now be able to spend time in the dealership looking at the cars and experiencing the Nissan brand at their leisure. The new dealership at Cribbs will be fully accredited for Motability sales and aftersales. This will provide customers with a choice of using either dealership for their dealings with us with great cars in our range, such as the New Generation Qashqai, Juke and all electric Nissan Leaf. We're very pleased to announce the appointment of Simon Newson as our General Manager for our new Cribbs Causeway dealership. The 31-year-old is new to the company and we would like to welcome him to the team. Simon has worked in the motor industry for more than 10 years and has five years' experience in Nissan retail so will be a real asset to the new branch. Simon said: “I am delighted to be joining Wessex Garages. Their reputation of being a forward thinking company means it was an easy decision for me to head up its new flagship site. It will be one of the largest dealerships of this kind in the country". The father-of-one is familiar to the South West having lived and worked in Weston-Super-Mare for most of his career. In his spare time Simon takes part in circuit training three times a week and enjoys spending time with his eight-year-old daughter. He has also signed up to take part in a Tough Mudder challenge in August. Good luck Simon! We’re thrilled that Bristol Aftersales Manager, Darren Lakin, will be moving to our Cribbs Causeway branch in December. Darren has been heading up the service and parts departments at Pennywell Road and prior to that was Service Manager in our Gloucester branch for 3 years. The father-of-two has over 20 years of experience in the motor trade and is used to working with the highest levels of customer satisfaction. He will have the privileged task of working with workshop designers to custom build our new workshop utilising the latest and most modern diagnostic techniques and equipment in the industry. Darren will also oversee the day to day running of the existing service and parts operations at Pennywell Rd branch to look after those customers who prefer to use this location and many of the existing team will remain here to give our customers an alternative choice. Darren lives in Worcester with his family and enjoys watching cricket and rugby in his spare time. We're delighted to announce that Wesley Bawn, who is currently one of our Master Technicians at Pennywell Road, will be moving to our new dealership at Cribbs Causeway. Wes, who is 37-years-old and lives in Emerson Green, has been with us for more than 20 years. He is one of Nissans highest qualified technicians, ranked 7th in the whole network, and will bring a wealth of knowledge to the team. The father-of-one started his career at Wessex Garages as an apprentice and has worked his way up to Master Technician, and as well as being an MOT tester he is also qualified to work on the GTR and is a Nissan Leaf specialist. Wes explained: “I am very excited to be moving over to the new dealership. It is a great opportunity for me and I can't wait to help build the new team in what I know will be an outstanding facility"
In his spare time Wes enjoys spending quality time with his wife and family and enjoys playing golf and swimming. We're looking for some of the leading personnel from the motor industry to join us at our new state-of-the-art dealership. There will be a variety of positions available from Sales Executives to Vehicle Technicians, trainee positions and apprenticeships. This is a rare and exciting opportunity to work with one of the UK's top automotive brands and gain manufacturer qualifications. Wessex Garages prides itself on its reputation and the people we employ are a huge part of that. Should you be successful, you will be joining a dedicated, enthusiastic team, all of whom embrace our three pillars – of trust, transparency, and value for money for all of our customers. Wessex are also heavily involved in the community, raising over £10,000 in 2014 for charity. Working with us, you will have the chance to get involved in a variety of activities, be it one of our fundraising days or something a little more extreme – a skydive or bungee jump perhaps? This is a fantastic opportunity to become part of an award winning, forward-thinking company and join a dedicated and friendly team, where no day is ever the same. Anyone who is interested in finding out more should email their CV to careers@wessexgarages.co.ukcareers@wessexgarages.co.uk. We would be very interested to hear from you. 1. When is the new Nissan dealership at Cribbs Causeway opening? The planned opening date is in December. We hope to be given the keys on 18th December. We will then open for business immediately after Christmas (on 28th December) with a huge sales event – details of which will follow later in the year. 2. What will happen to the existing branch at Pennywell Road? Our dealership at Pennywell Road will become a Used Car and Van Centre along with a Nissan Authorised Service Centre. It will stock around 150 used cars, with prices ranging from £3,000 to £70,000. There will be a high percentage of Nissan vehicles but will also include Kia, Fiat, Ford, Vauxhall, Hyundai, Renault, and many others. It will also stock around 40 – 50 used vans on site, in a variety of sizes, including specialist conversions. There will also be a dedicated Business Specialist on site that will be able to give expert advice to commercial customers based upon their specific needs. 3. I've always had my car serviced at Pennywell Road branch, can I still take my car there? Yes you can - Nissan service and warranty work will continue at Pennywell Road. You will also have the option to take your car to the new dealership at Cribbs Causeway should this be more convenient for you. 4.If I want to buy a van, which branch would I go to? There will be a limited selection of vans available at the new dealership at Cribbs Causeway. The main stock and expertise will be at the Van Centre at the Pennywell Road branch. 5. Where will the new dealership be located in Cribbs Causeway? The new Nissan dealership will be located on Hayes Way at Cribbs Causeway, an area that is developing and looks set to be an excellent retail location. It will be in close proximity to Marks and Spencer's department store. 6. Will there be any parking at the new dealership? Yes, there will be a car park for sales, service and parts customers. There will also be three electric charging bays for electric vehicle customers. 7. Will the new dealership sell used cars? Yes, these will be exclusively Nissan and will all come under the Cared4 banner which will provide a market leading used car proposition in the UK. 8. I've always bought my cars from Peter or serviced my car with Mike from Pennywell Road, where will they be now? In order to ensure a smooth transition, and to accommodate both our employees and customers, we will be undertaking extensive consultation with our existing staff to identify which members of staff will remain at Pennywell Road and which staff will relocate. This will ensure that the new dealership is staffed with the sufficient quantity and knowledge which is required for the new Nissan brand. 9.At which sites will electric vehicles be situated? Brand new electric vehicles will be available from the Cribbs dealership only. However, both locations will supply nearly new and used electric vehicles. 10. Will there be an electric charging point at both locations now? Are they free of charge? Yes, there will be electric charging points at both locations and they are completely free of charge for our Nissan electric vehicle customers. 11. I want a new vehicle but I live on the other side of Bristol to Cribbs – can I just go to Pennywell? 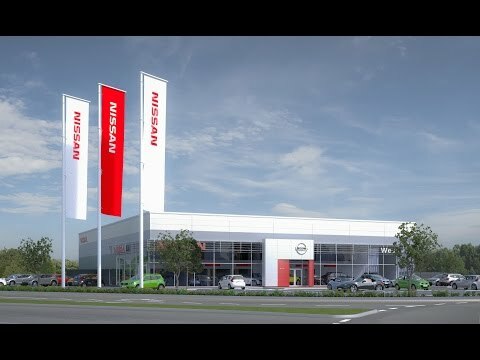 Cribbs Causeway will include the new visual identity for the Nissan brand and therefore in coming to this new facility, you will receivethe complete Nissan brand experience which will include Nissan accessories etc. However, if you would prefer to make arrangements with the Pennywell Road branch, then we would be happy to work with you on this. 12. Where do I buy Nissan Parts – Pennywell or Cribbs dealership? The Cribbs dealership will have a retail centre and will stock a limited range of retail parts. However, our Pennywell road branch will remain as our main parts centre. In addition to this, we will run our trade parts centre from Pennywell Road dealership. 13. Why are you opening a new Nissan dealership if you have one already set up on Pennywell Road? The Nissan brand over the past 5 years has doubled its market share, and is now the largest Asian brand in the UK. Our existing facilities at Pennywell Rd have been restricted for some time and its geographical location suits some more than others. 14. Will this new dealership include the sports vehicles and Nismo range? Yes, Nissan have been developing and increasing the Nismo sporting brand, including the incredible GT-R and other high performance vehicles, which we are excited to host at Cribbs. 15. I am a business user and buy corporate vehicles. Where will I go to get them? Both branches will be able to help. The Cribbs dealership will focus more on local business users along with company car drivers. The Pennywell Road branch will concentrate on larger corporate business. 16. Will there be a shuttle service from the garage to the mall? Yes, there will be shuttle service available to our service customers. Customers will have the option of being dropped off at the shopping mall, whilst their car is being serviced, further details to be announced. 17. Will my part exchange price be different at Cribbs and Pennywell Road dealership? They will be the same, as we use a centralised computer evaluation system which records all information. This is in line with our three pillars, of complete trust and transparency and value for money. 18. How will my experience differ at the Cribbs dealership? Both branches will provide the highest level of customer care. The new location will incorporate the new Nissan brand identity and as part of this it is designed to be more informal and consultative, overall providing an enhanced customer experience. 19. What if I have an existing service plan at Pennywell Rd and want to use Cribbs causeway dealership? You will be able to have your vehicle serviced at any of our Wessex locations. You are welcome to bring your vehicle for servicing to our new dealership. The same will apply to any Motability Contract Hire customers.